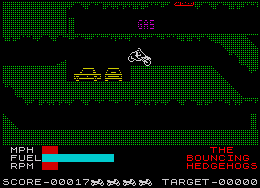 Released in 1983, Wheelie is a ZX Spectrum classic. Seriously underrated in my opinion, but I know it has a lot of love in certain circles (circles who have good taste! ).